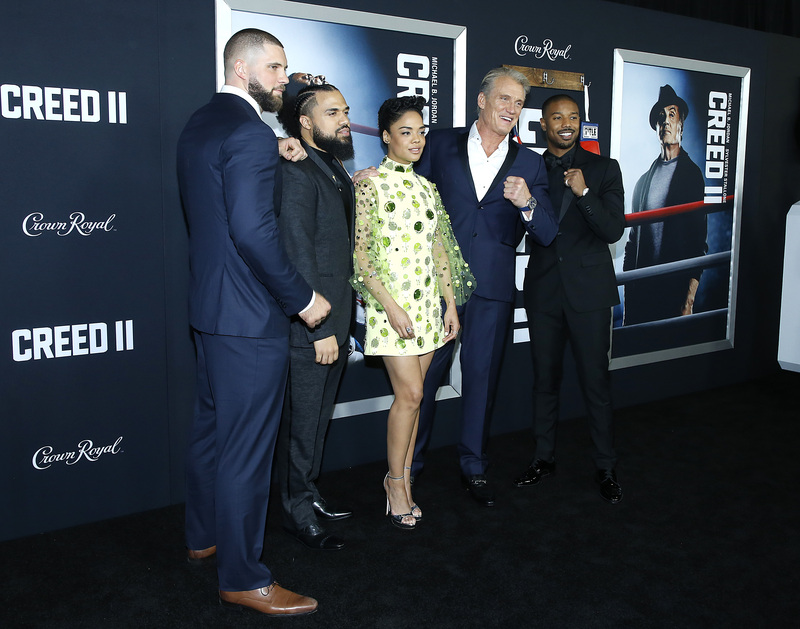 This weekend, Creed II was the big winner at the domestic box office after the Steven Caple Jr.-directed flick earned a total of $55.806 million over the course of its Wed-Sun opening stretch, making it the biggest debut ever for a live-action film over the Thanksgiving block. This Fri-Sun weekend alone, the movie earned $35.293 million, making it the biggest debut from Wed-Sun and Fri-Sun for any non-Disney release during Thanksgiving. Impressively, it becomes the biggest debut, not adjusted for inflation, for a sports drama and a boxing drama, making it the biggest ever debut in the genre since the arrival of Rocky. Compared to its predecessor, Creed II only had a low 4.8x five-day multiplier compared to the 7x multiplier of Creed, which reeled in $42 million after a $6m opening day. With a 93% gain from opening day for Creed, Creed II ultimately earned a five-day opening weekend gain of 31% over Creed. Now, as the week tally will continue to grown, all eyes will be on whether or not it can top the domestic total of Rocky IV which earned $127 million, adjusted for inflation, that equals to about $323 million today. If so, Creed II will prove to be the biggest Rocky film ever in the United States but only time will tell.